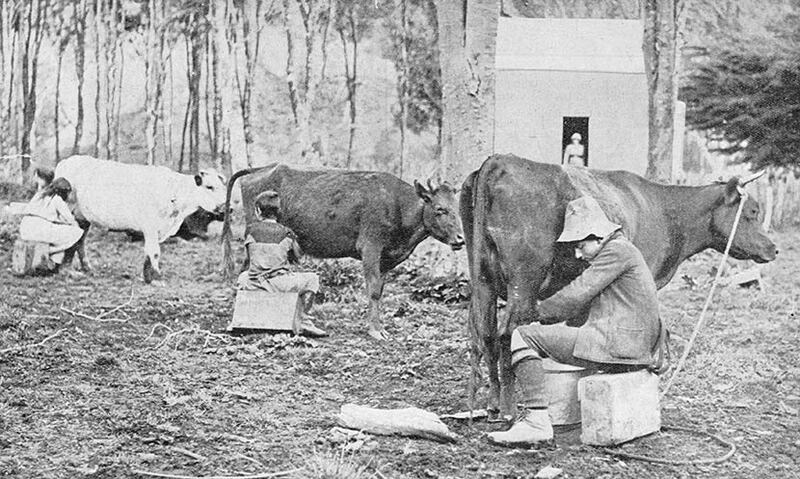 Milking used to be done in the open, sometimes in the middle of a paddock if the cow was quiet enough. More often the cow was held in a simple bail or by a rope halter. Milking was usually the job of women or children.